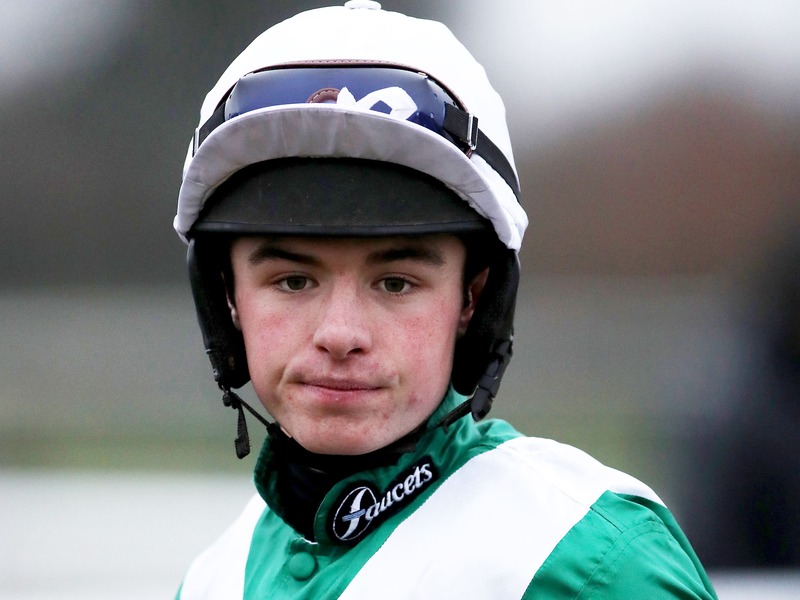 Charlie Deutsch was denied a winning return to action following his early release from a prison sentence when finishing second aboard Rogue Dancer at Huntingdon on Tuesday. The 22-year-old was sentenced to 10 months in prison in May after pleading guilty to dangerous driving while over the drink drive limit and escaping police custody following an incident in Cheltenham in March. Having hit the front turning for home in the Brampton Handicap Chase, it was only after the last that Deutsch, who was released in August after serving two and a half months, and Rogue Dancer, gave way to eventual winner Hoke Colburn from the yard of Brian Barr. Deutsch said: “I’m just happy to be back really. He is a lovely horse that was genuine and I had a good spin. I want to get into doing more of this. While Fixed Rate may have been bred to run in a July Cup, the five-year-old son of Oasis Dream showed fences hold no fears when holding on by a head to take the feature Paul Ferguson’s Jumpers To Follow Chase. Micheal Nolan finally secured his first winner at the Cambridgeshire track after guiding the Philip Hobbs-trained Cotswold Way (11-2) to victory by three and a half lengths in the Alconbury Maiden Hurdle. The winning jockey said: “He was still a bit green and there was no pace in the race, but I knew if I got an easy lead and got him relaxed, it might just play into his favour. Dan Skelton has a considerable battalion to go to war with this season and there is a good chance Denmead (4-1) could be a name to keep on the right side of following his facile 14-length success in the Follow @huntingdonrace On Twitter Novices’ Hurdle. The Alcester handler said: “I like him a lot and he has come with some good Flat form. I just hoped he would be pretty good and it looks like it as he had a good start. Hepijeu (9-4) continued his recent revival after completing a hat-trick of wins since joining Stuart Edmunds when proving a length and three-quarters too strong for Midnight Aurora in the concluding racinguk.com Handicap Hurdle. Edmunds said: “He just seems in good heart and I think the change of scenery has helped.